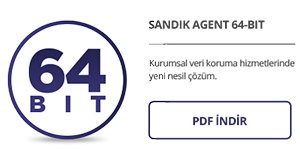 Sandık Cloud Backup System is for keeping the copy of the critical data outside the company environment. Critical Data to backup for a company. 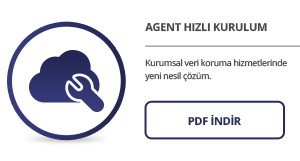 ERP, CRM ve Logo etc. Manifacturing & Automation software and data. 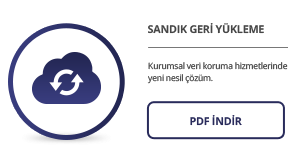 Sandık Cloud Backup System provides Cloud Connected Backup Technology when it is compared to opponents. One Backup Solution for all, Local, Hybrid or directly to the cloud. Fast backup and Restore on Local premises. Keeping a copy of the local backup files on cloud, (Tailor-made or common cloud). Flexible options, customer dependent modifications. Please download Sandık Cloud Backup Systems’s Installation guide, Backup&Restore Procedures.